Any of you real anglers who have seen what i have seen through the years of total deverstation by the commercial fleet look by in disamy when you see whats on the horizon for us anglers the whole thing is total ****s you will never get back bigger fish in number as long as there is still the commercial pressure as what we have today it just wont happen how will they be left to take it down the line some thing has to break in 30 years or so its being flogged to death total over fishing why wont the real problem be adressed because its just to senseative. 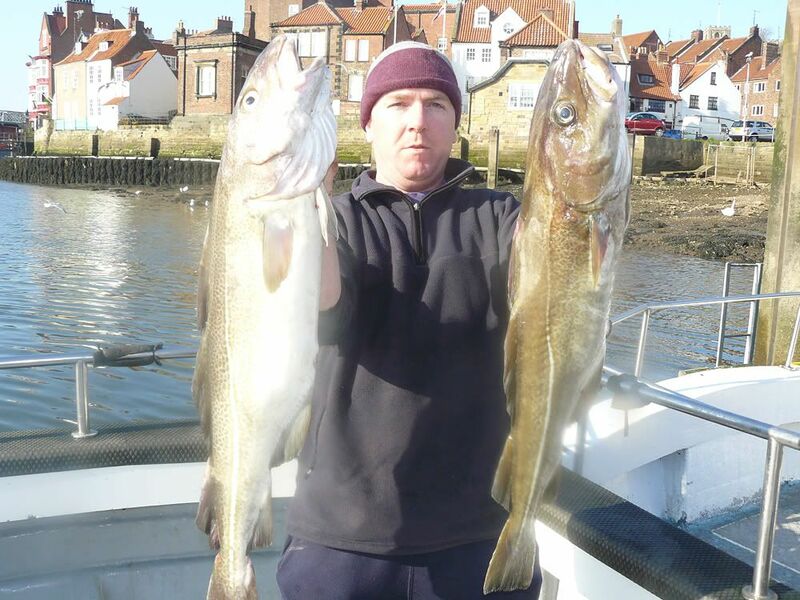 There have been some great catches again this year for anglers off Whitby, the festivals have had some great results and there are (slowly but surely) a wider range of fish being targeted. As we all know Paul in one of the first to report (and good reports they are too) a good days fishing, so why does he want to constantly blame commercial fishermen for his poor days fishing. If he wants bigger fish (i.e. cod) then I suggest that he goes further a field and targets wrecks that aren’t targeted on a daily bases by himself and other anglers. The chieftain has again proved that this year. Regards and complements of the season to you all. Edited by challenge, 22 December 2009 - 09:18 PM. Aahhhh ... like Barry, I must find out where this place is. You see, fishing off the SW and Central Solent (beaches don't get a mention any more), has deteriorated drastically over the past 20 years. the breeding stocks have been hammered by someone, somewhere. Every day there are the same big boats from Cornwall/C.I. to Dover; U-10s all along, as well (Selsey, Hayling Bay, Rye, Hastings, Dengemarsh, Dungie and THEY complain there are too few fish. I confess, 'I must have done it with me big hatchet'! You trying to mis-quote me H A? I was supprised that Whitby is classed as probably the best angling port in the uk,thats all as i would like to upgrade some of me pb,s. 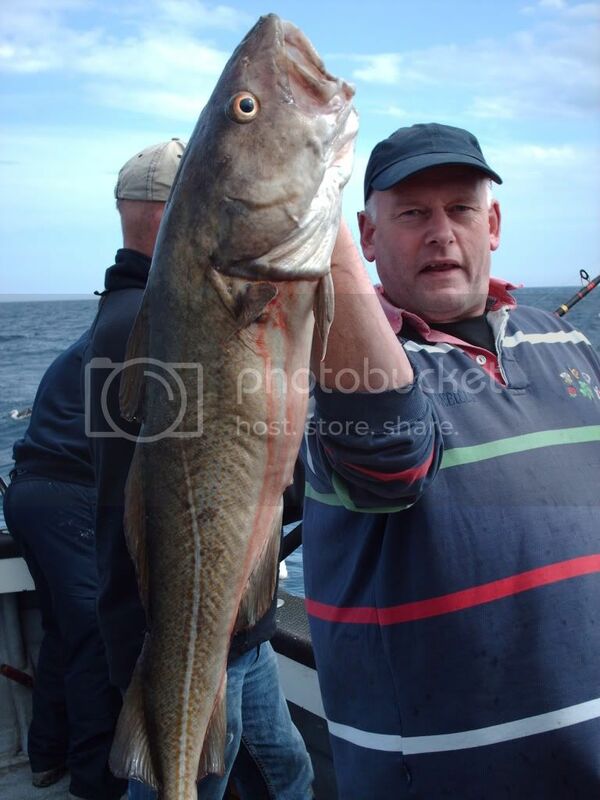 On the south coast there is a type of fishing that isn't done up the north east, anchoring over the wrecks, that is why you don't hear of decent sized conger, ling being caught for example. In addition, on a personal basis, i am looking for turbot over 20, brill over 12 bream over 5 and blonde ray over 35. ohh and double figure bass. It's about time i increased me conger size up from 80 and ling to over 40 so it again it came a bit of a supprise that Whitby can be the port to assist me. Come and have a fish with us in the spring, H A we'll catch a few together. Didn't mention cod or pollack, never mind. Link to a news item, can't copy as it won't let me. 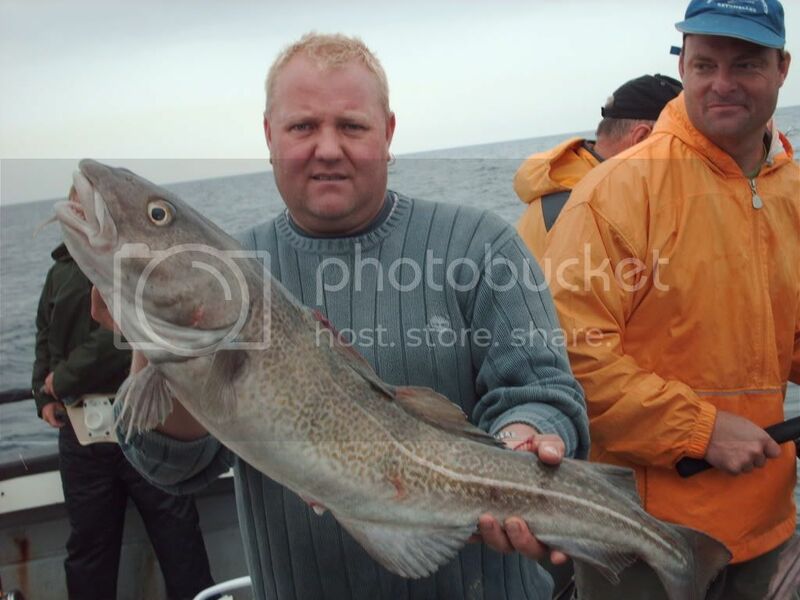 However, your bit about complaints regarding lack of fish, this paul gilson within it is quoted as saying that there is a glut of fish at the mo.................. Have we not heard from him before? About bait digging or bass sizes or summat, sure we have, something to do with proposels to a sfc? I have been on this forum now for years, long before I was employed in my current employment. I worked for a charter boat company for many years and I was also connected to the commercial fishing industry and that is why I contributed to this forum then and why I still contribute today. Edited by barry luxton, 23 December 2009 - 12:17 AM. No mention of "total devastation by the commercial fleet" on your Webb site. 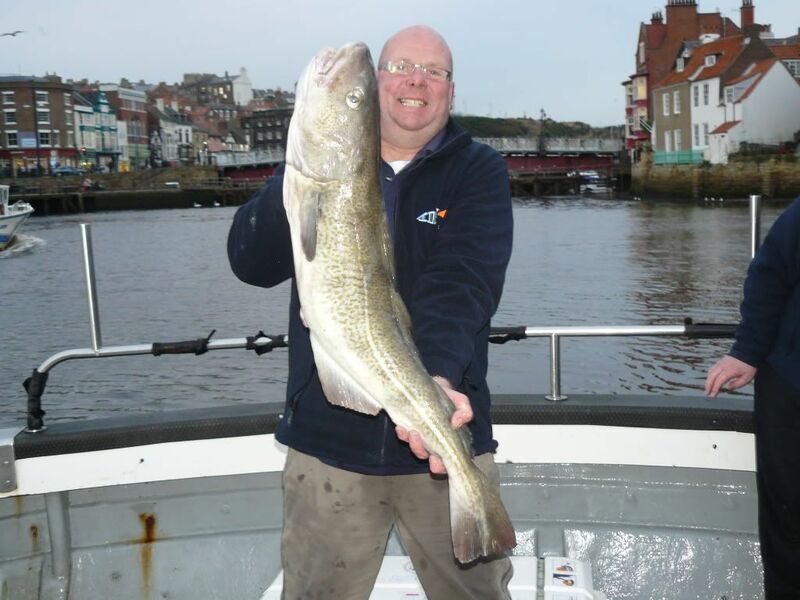 "Boat Fishing at Whitby is Paul's passion and he says "There is some top fishing to be had from Whitby - probably better than anywhere else in the UK". There is no sign of total devastation further south we'll have to recommend Harwich as the premier Cod Port from now on then. You do angling or your self no favours making such comments, it plays straight into the hands of the environmentalists you are trying to ovoid. Peter compair anywhere else to whitby for cod they aint got a look in . Absolutely and totally agree with those words wurzel. Something I have been saying for years on this forum. How can Paul say there is massive pressure on fish stocks in this area from the commercial fleet when he knows only to well that the commercial fleet has been cut tremendously in the past few years. How can he say that commercial fishing has decimated the local fisheries and then report that Whitby is a prime recreational fishing port for anglers? 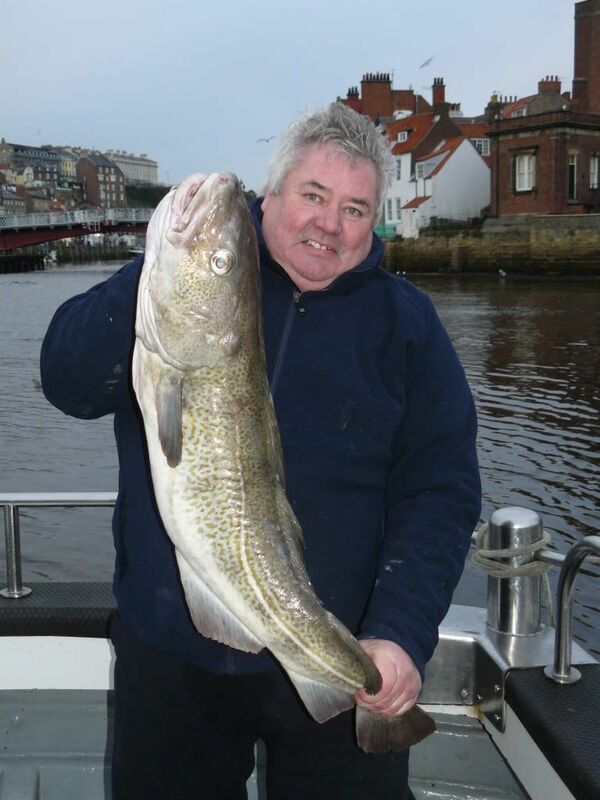 I totally agree with him that Whitby is a great angling port. So don’t knock commercial fishing because of it. The commercial fishing industry doesn’t knock you Paul. Let me just say that regardless to what the administrator of this forum suggests http://www.whitbysea...p?topic=13250.0 ironically on a forum that he doesn’t allow me to defend myself on. I am not commenting in anyway on my present day occupation. All the comments I make on this forum have absolutely nothing to do with my position. I have been on this forum now for years, long before I was employed in my current employment. I worked for a charter boat company for many years and I was also connected to the commercial fishing industry and that is why I contributed to this forum then and why I still contribute today. I believe that it is totally out of order for somebody else to take and manipulate comments from this forum onto a forum that he knows I cannot defend myself on to try and cause trouble for me with my employers. As I have said many times Paul can say what he wants about whatever he wants, because he can defend himself whenever he feels like it. On this and other forums. My comments of “give it a rest” was meant as a response to the many times he has said the same to me and nothing whatsoever to do with me trying to stop him commenting on anything said if my words where taken out of context by Paul, then I am sure he is quite capable of defending his own statements like he has done many times in the past. So who do you blame for the decline in fish stocks in the last 30 years seals ,anglers if we have a bad days fishing i dont blame anybody its conditions deture what sort of a day you are going to have we all get good days and we all get bad days thats fishing you have tryed to preach the fishing news on other angling forums not just the whitby sea anglers forum and have beenshot down in flames john the bottom line is commercial fishing over the last 30 years has had a massive impact on stocks in numbers of fish as to what it was back then not only at whitby but around the world even big companys put on there labels sustainable caught fish so what does that mean it means line caught line caught that is what its saying i had a guy on my boat from new zealand the other day he was asking how the fishing is these days compaired to 20 years ago i said it aint what it was he then started to tell me about the comercial pressure over there and how through over fishing there stocks have been depleted it will enentually go a full circle where there wil be more line fishing throughout the winter why the hell dont people like your employer try and push for more quota for people who do sustainable fishing methods like longlineing that would make more sense unfortunatly the wrong people get there own way just like the big boys with the mackeral carry on looks like no fishing off norway for at least 3 months the bigger you are it seems more clout you have its wrong. Edited by big_cod, 23 December 2009 - 03:33 PM. Paul. Let’s just agree to disagree. On the relevant subject. I would like to know where I have been shot down in flames on other fishing forums though. Glen K decided that my postings about the chieftain (at the time) pictures and fishing reports weren’t going to be posted on his forum. We all know why. We all know the history. So I don’t think that you or he wants to even go there. It is his forum and I respect his right to sensor anything that he wants to on his forum. I didn’t even mention commercial fishing when I went on. All I did was post pictures and a few angling reports. Shot down in flames? I think knot. If you (or anybody else come to that) don’t believe that I (considering the position that I hold) should be allowed to comment on a fishing forum then it’s a sad day for free speech and civil liberties. What sort of forum do you want? A forum where no body who doesn’t agree with you is allowed to post? I have always offered advice to anybody who wants it outside of my working day. I have always tried to put all sides across to many debates. It,s a sad forum world that we live in if people don’t want to read something unless it benefits them and come to that goes along with what they would like to believe. Complements of the season and good fishing for the coming year. Edited by challenge, 23 December 2009 - 03:14 PM. George on cheiftain has had topics on the WCSA website and also on whitby sea anglers site here is the link to what mr easton put on. Edited by big_cod, 23 December 2009 - 06:51 PM. Paul, so what would your recommendations be if you had the opportunity to change things in the area you fish regarding commercial fishing? Or do you think that there has been irreversible damage done and therefore any change in fishing methods, quota, days at sea etc wouldn’t make any difference. In your opinion what do you think that the future holds for the angling industry and just as importantly the anglers who do the angling? By the way Paul, you have pointed out (on the Whitby forum) that I said that anglers where unrestricted, I did say that Paul but you have taken it totally out of context. I was just stating that they where that’s all. But you then went on to say that in saying this what I meant was that they should be restricted. Let me please correct you in your assumptions, or at least your leading information. I have never said that anglers should be restricted in anyway. Plenty of marks, top middle and bottom of the channel to match your link. I agree with you that the stock is depleted and it would be good if enough of what is showing now and for the last two or three years remain. one example. clik on catch detail. Edited by barry luxton, 23 December 2009 - 10:12 PM. There is still quality fish around if you know where to locate them Just a few we had this summer in the 20ss barry most of these inside of 4 mile all these lads also fish the south coast and some go to norway every year but compair whitby to anywhere else in uk nowhere comes any where near. 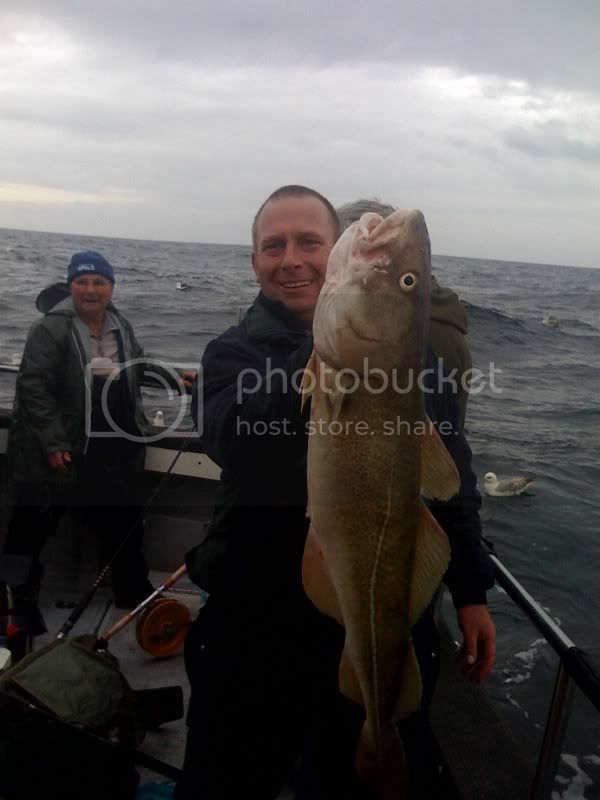 This is glen who runs the whitby forum the fish on the left was 23lb. Edited by big_cod, 24 December 2009 - 03:06 PM.